Khargo: Furniture and Design: World Tour 2017! World Tour 2017 Gridwide Hunt is on! 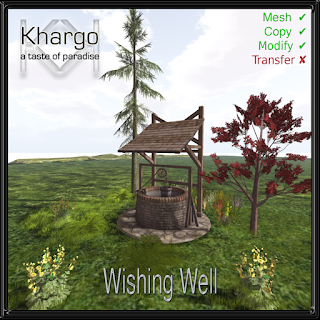 Our prize for this hunt is the Khargo Wishing Well. Find it somewhere outside the main store - check the hint giver for a clue! World Tour 2017 Hunt runs from 21 March to 30 April. Hunt prizes cost 2L$ and there are 5 paths to follow covering 7 continents. Get more info on the Hunt Blog.